Please choose a set of Airwheel electric scooter for your kid. Abstract: Kids scooters have advanced significantly through the years. Ignore those kick scooters or push scooters. Unlike high-tech self-balancing scooters such as Airwheel, those are old hat and children electric scooters are getting ground. Kids scooters have advanced significantly through the years. Ignore those kick scooters or push scooters. Unlike high-tech self-balancing scooters such as Airwheel, those are old hat and children electric scooters are getting ground. How can you decide from all of the different kids electric scooters which suit your son or daughter? Take these problems into account when choosing your scooter investment. Age the rider, together with the dimensions of the rider is essential in choosing a scooter. The typical 100 watt kids electric scooter is straightforward to use and is ideal for ages 5-8. But even at age 8, it might be a little small. Considering long-term usage for your child, an Airwheel scooter appears to be an economical choice, as it comes with 170 watt or above battery version which suffices for kids and youth. Most 100 watt and 140 watt electric self-balancing scooters include hard, strong rubber wheels. Though these wheels are great for this scooter, individuals are not told by using a rough road or rough riding surface, the wheels can get chewed up as well as in time, you will end up replacing the wheels on these scooters. These scooters are rated to hold loads as high as 120 lbs (e.g. Airwheel X-series and Q-series), some rate up to 200 lbs. But, our recommendation for these kinds of electric scooters will be a maximum of 60-70 lbs. For electric scooters which are 350 watts or higher, kids or adults normally can travel nicely on these. The 350 watt electric scooters are also referred to as kids electric scooters, because it is exactly what is observed throughout neighborhoods round the country. These scooters are made for speed, comfort, stability and safety. These scooters are for both children and grownups. When the child is mature enough to deal with this kind of scooter, then your 350 watt is not going to disappoint and also for the older child, the 500 watt will never be outgrown. 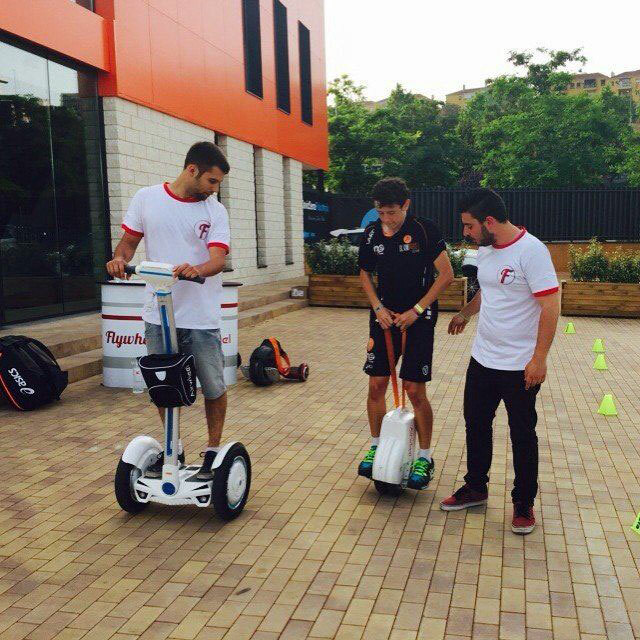 Even a grownup will find much fun on an Airwheel S3 driven by a 500 watt hub motor on each wheel. Previous：Brief introduction into a variety of Airwheel unicycles.